The Football program consists of 2 teams, Junior High and High School. Athletic Director Bradley Lattin and his assistant coaches pioneered the football program in 2013 with only a Junior High team. Most athletes played both defense and offense, that first year, due to the size of the team. That didn't stop them from winning the conference championship that year and 2 out of three years to follow. The Varsity football team has also continued to grow over the last few years and has won the AACS Conference Championship in 2 of the last 3 years. We are in the process of transitioning from the AACS conference into the OCSAA, which will allow our team to grow and improve with a higher level of competition against both public and private schools. 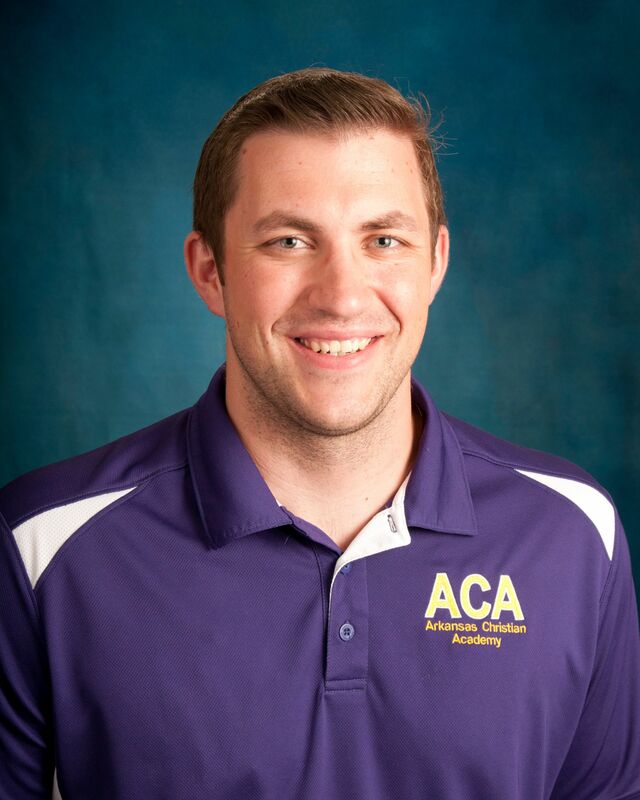 The Coaches at Arkansas Christian Academy focus on building young men of character, both on and off the football field. They expect the athletes to give 100%, push hard, play hard, and above all show integrity in every aspect of the game and in relationships. Football is, after all, only a game, but one in which only those who show strength of character and integrity are truly winners, no matter the score. We, at ACA, expect our athletes to display these attributes at all times, whether at school, on the playing field, or off campus. If your student would like to learn more about, or join, the ACA Knight Football Team, contact Coach Lattin today. You can email him here. Coach Lattin graduated from the University of Arkansas, Little Rock in 2008 with a Bachelor of Science in Health Science. He minored in Secondary Education and obtained a coaching endorsement upon completion of the required coursework. 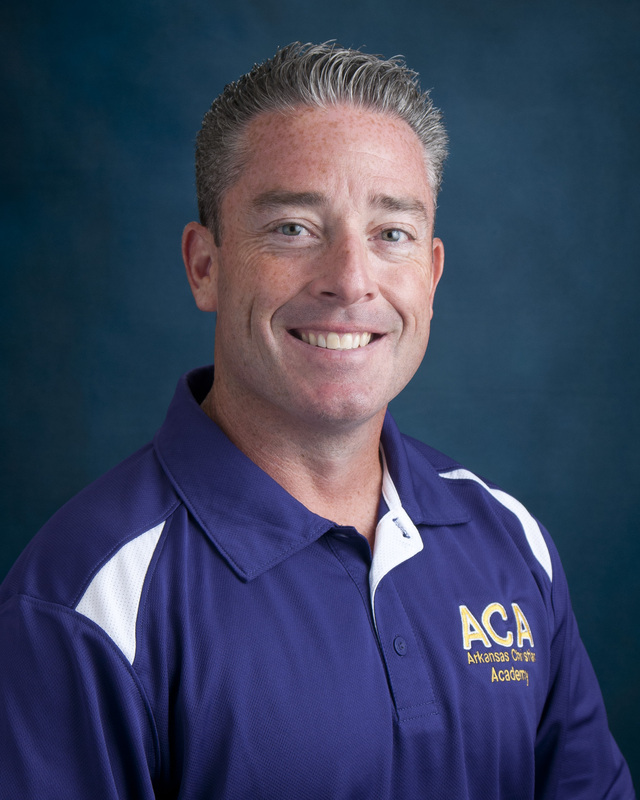 Coach Lattin pioneered ACA’s football program in 2013, as the Athletic Director and Head Football Coach. He is married to Jennifer Lattin, his wife of 18 years, and has 2 children who attend ACA. His passion is sharing the love of Jesus through mentorship and discipleship on and off the football field. In his free time, he enjoys spending time outdoors with his family. Lance Goddard has served as the Children's Pastor of Family Church Bryant since 1995, and also teaches Elementary Chapel and Bible at ACA. 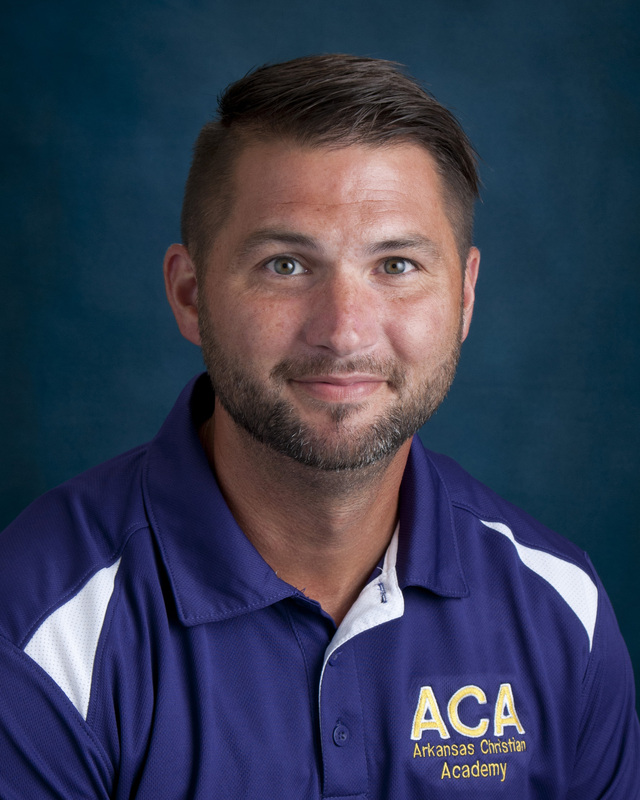 He has coached many sports over the years at ACA, including Track and Field, Elementary Boy's and Girl's Basketball, Junior Varsity and Varsity Football. Pastor Lance has been married to his wife, Tina, for 21 years. They have 4 children together, all of whom have attended Arkansas Christian Academy. Their oldest daughter Kylie recently graduated as part of ACA's first senior class. From 2014-2016 Tony taught Middle School Social Studies and served as an assistant coach for the Vilonia Junior High Eagles. His main responsibilities during the football season were coaching both offensive and defensive linemen, and calling the defensive plays for the eighth grade team. He also assisted the High School coaching staff by communicating information from the press box to the sideline coaches. During offseason, his primary responsibility was tracking player growth and modifying player workouts to increase improvement in both strength and speed. Tony is joining the ACA Football program beginning in the Fall of 2017. His prior coaching experience will prove to be a valuable addition to our program.